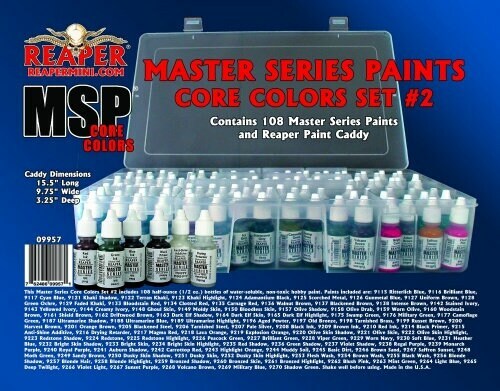 Contains the 108 Master Series Core Colors Paints, plus Paint Caddy. Includes all MSP Core Colors in production from 09115-09270. Shake well before using.